Jebel Nimra is the eastern mountain ridge extending north of Hebron. One of the north–south roads connecting the Negev with the northern part of the country runs along the crest of the ridge. To its east the Judean Desert stretches southward. On its western slope is the Cave of Machpelah, and to its west Naḥal Hebron bisects the city of Hebron. In 1986, excavations at the archaeological site on the summit of Jebel Nimra were directed by H. Hizmi, with the participation of Z. Shabtai, who discovered the site following reports of illegal construction in the area. 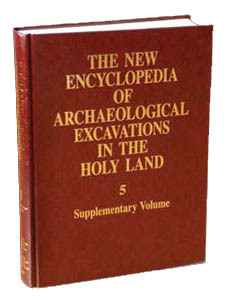 The excavations were on behalf of the Staff Officer for Archaeology in Judea and Samaria. Nimra is apparently a corruption of Mamre, an ancient name for Hebron ( Gen. 23:19 ). Perhaps one of the suburbs of that ancient city is to be found somewhere on the ridge.